EmPower was created to help homeowners in the County of Santa Barbara (CA) make energy saving improvements to their homes. The emPower program facilitates home upgrade projects by making them more affordable through incentives, financing, qualified contractors and expert energy advice through visits from an “energy coach”. These visits provide tangible ways for the homeowner to save energy and lower their monthly utility bills. The organization was using spreadsheets to organize data which was cumbersome. 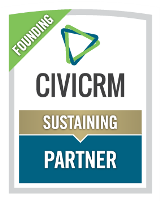 Making the change to CiviCRM provided the ability to configure the CRM to effectively manage the different types of contacts that emPower deals with on a daily basis. Integration to their existing website was key to the success of this project. In addition, the synchronization of mailing lists using their current emailing program, Constant Contact, was necessary to eliminate double data entry. Customized contact management and reports were also a major component to this project. EmPower was seeking to be more efficient, better understand the impact they are making on their community, adjust their programs to fit the needs of the community and ultimately, to measure their success as an organization. They switched from Excel spreadsheets to the fully functional CiviCRM that met these needs. The ability to run specific reports is a huge benefit and their event management was easily integrated into their existing Drupal website. Additionally, being able to streamline mailing lists across multiple counties using an integrated email system has saved a lot of administrative time and energy. These changes made for highly increased efficiency within the organization and allowed them to better understand their constituents. It took longer than expected to configure CiviCRM, but they were pleased with the end result. The challenge was to configure the CRM so it could manage the different types of contacts that emPower deals with on a daily basis, such as Residents, Building Professionals and Community partners. This required the configuration of several webforms and pages that needed to integrate into emPower's existing Drupal website including an Upcoming Events page, an E-news Sign Up page and several event registration pages. "The synchronization of our Constant Contact mailing lists with the CRM helps us save a lot of administrative time. There’s no more double data entry and we are sure that recent contacts will always be included in our communications. Before CiviCRM, we had to promote and track our events using several different tools. Now we can do it all in one place and, as a result, we are more efficient." EmPower was investigating several CRM options when someone recommended CiviCRM. They liked the concept behind the CiviCRM community. It was easy to relate to the concept since emPower is also a grass roots, community based program. They also liked the fact that CiviCRM is open-source and highly customizable.